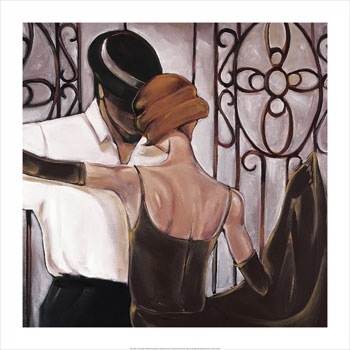 Everytime I close my eyes I imagine myself dancing tango. I smile and a sense of bliss comes to me. I imagine myself being good enough to lead a follower that I could not get my eyes out of on the dance floor. Is this a tango dancer crush? I didn’t dance with her. Maybe in some months I will see her again. She also leads. When I close my eyes I imagine we dancing a tanda where we exchange leading and following (I love to follow too). A blurry 20 seconds role exchange after each music, giving the leader of the song enough time to feel the music. I imagine we closing eyes in turns and just smiling at the mutual pleasure of both roles in a dance. Of sharing with each other the roles interpretations. Of getting really intimate in the dance.